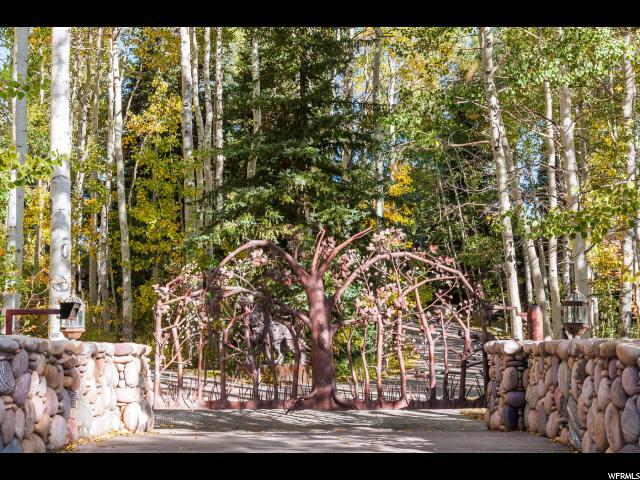 Artistic iron gate welcomes family and friends into a winding drive revealing an exceptionally crafted and private residence. 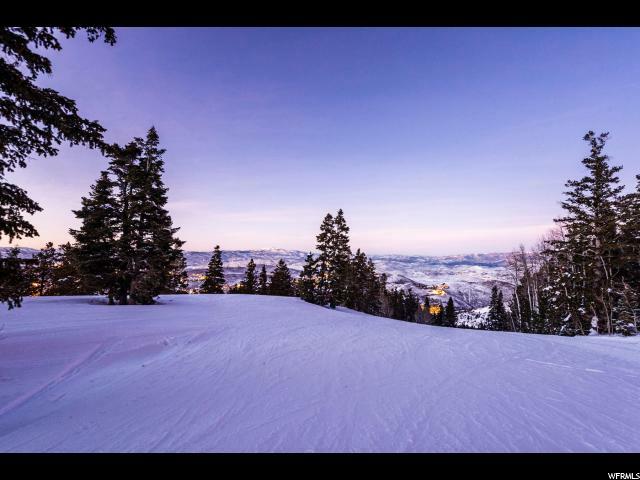 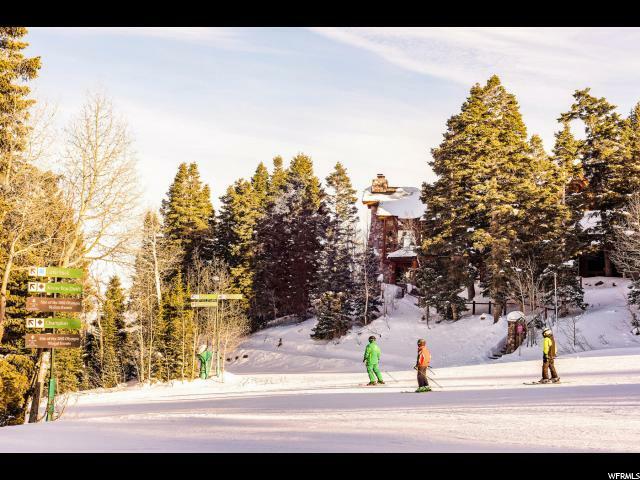 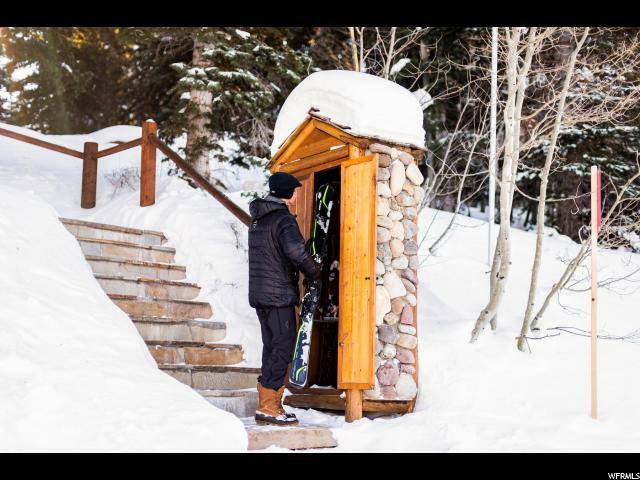 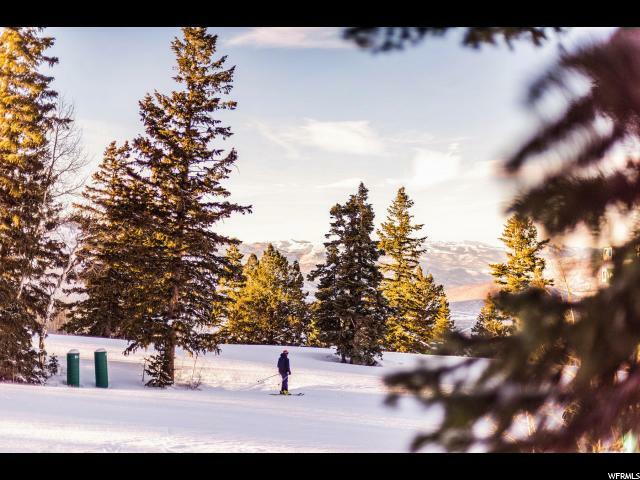 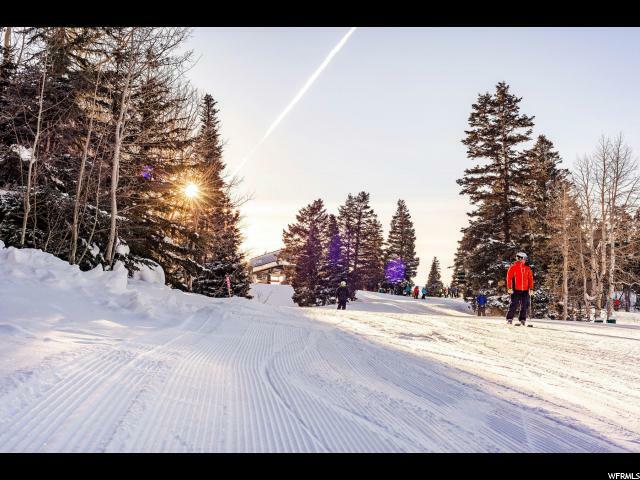 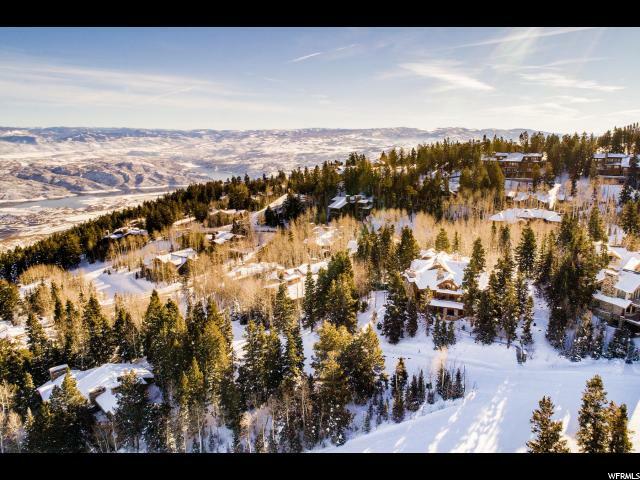 The gently sloping 1.26 acre site abuts Deer Valley's Big Stick and Roamer Ski Trails, and boasts views from ski slopes to the town lights of Park City. 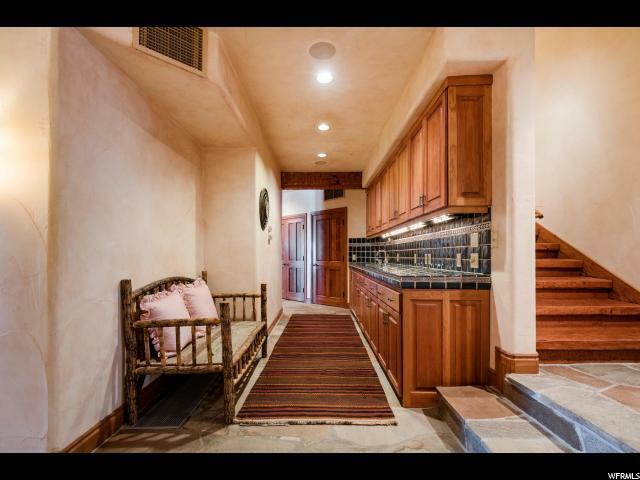 The home centers around a restaurateur-designed kitchen and huge inglenook fireplace in the great room, flanked by a dining area and family room with breakfast nook and den. 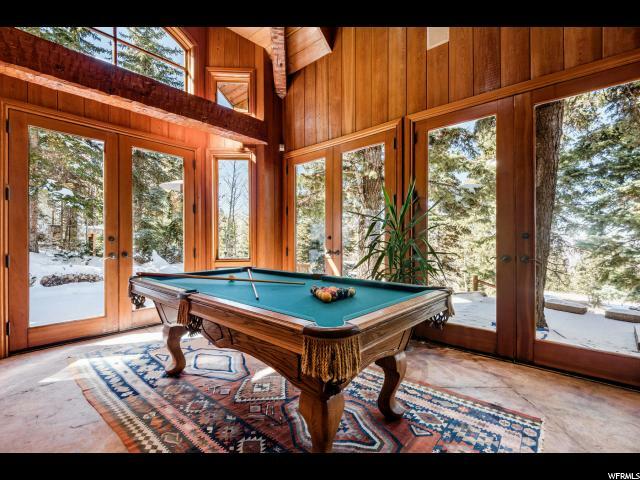 Guests will love the indoor lap pool and relaxing venues from sunny decks and patios to grassy lawns and even a sports court. 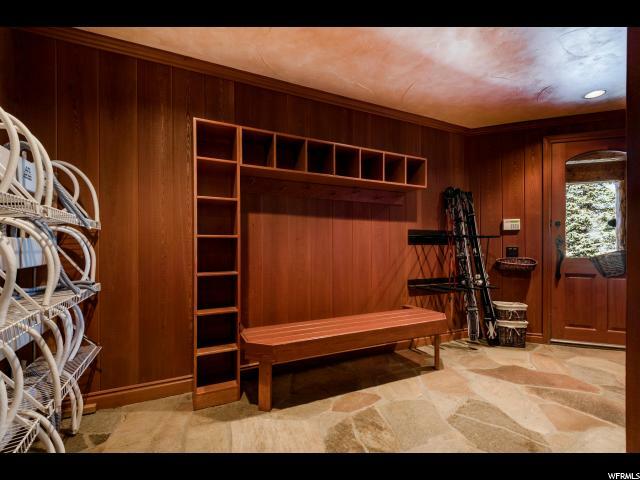 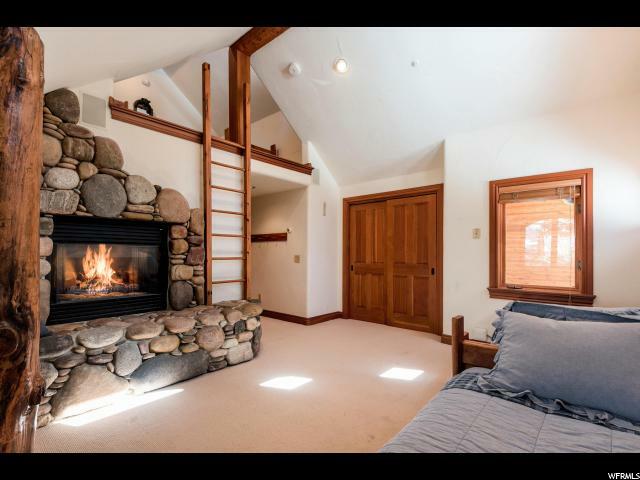 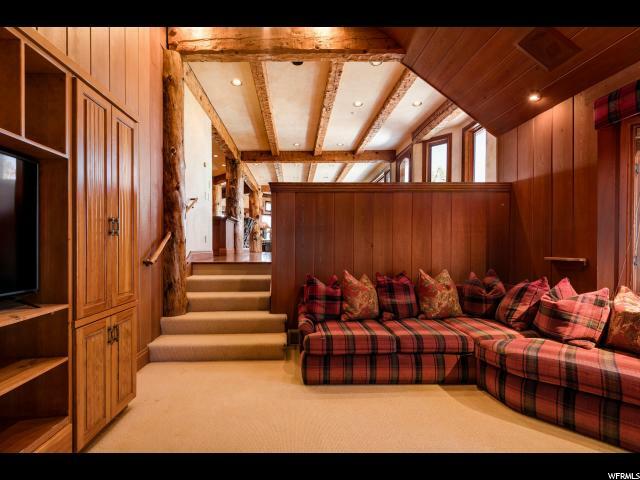 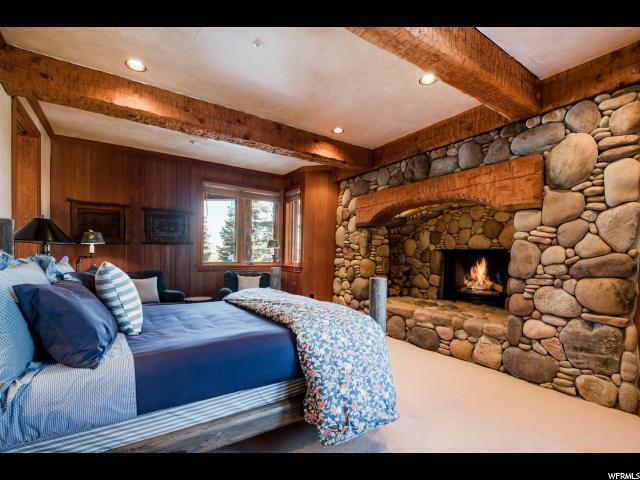 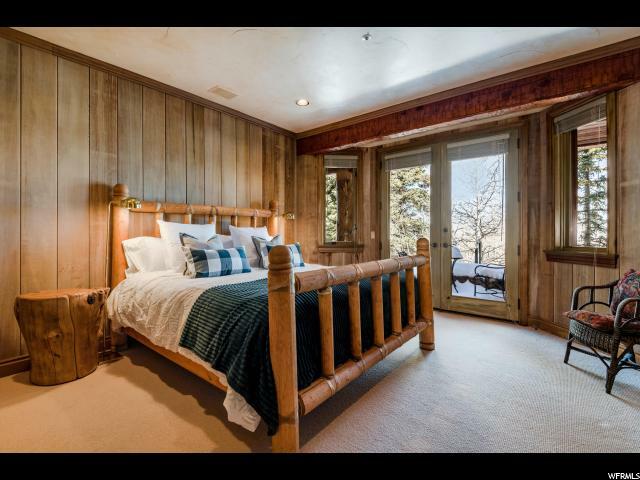 The master suite enjoys the privacy of the entire upper level with three fireplaces, three walk-in closets, his and hers bathrooms and a paneled study. 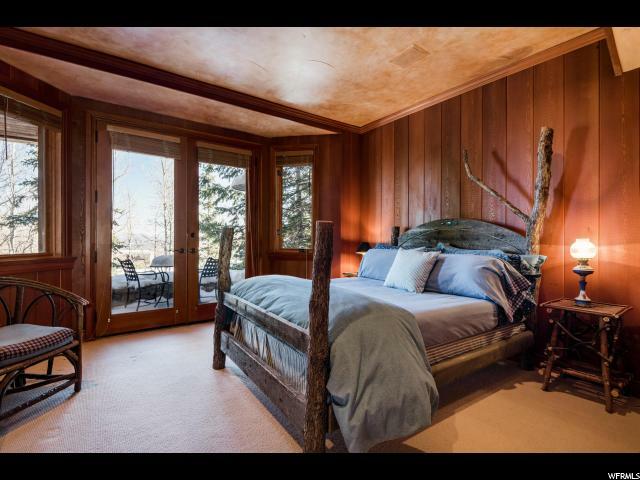 A separate level accommodates a grand guest suite plus four additional en-suite bedrooms. 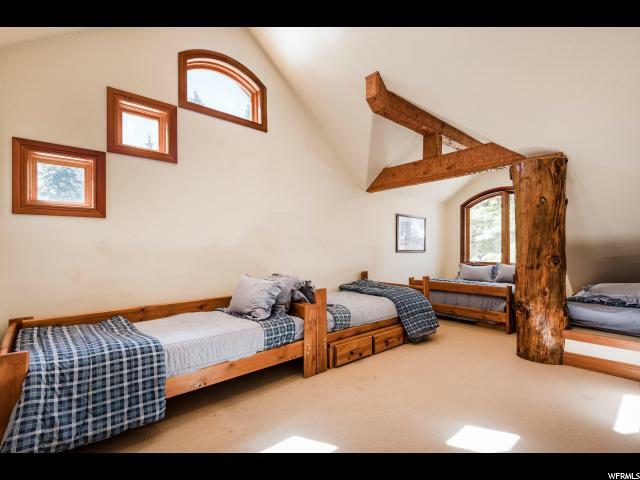 There is also an au-pair bedroom, children's bunk room and guest or caretaker's apartment, bringing the bedroom count to nine. 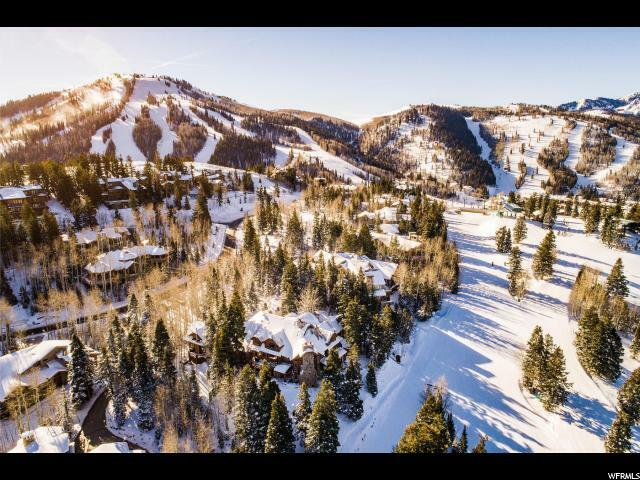 Truly a resort within a resort! 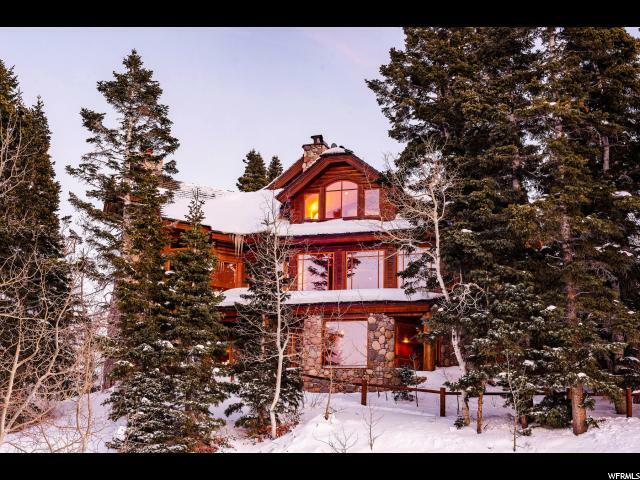 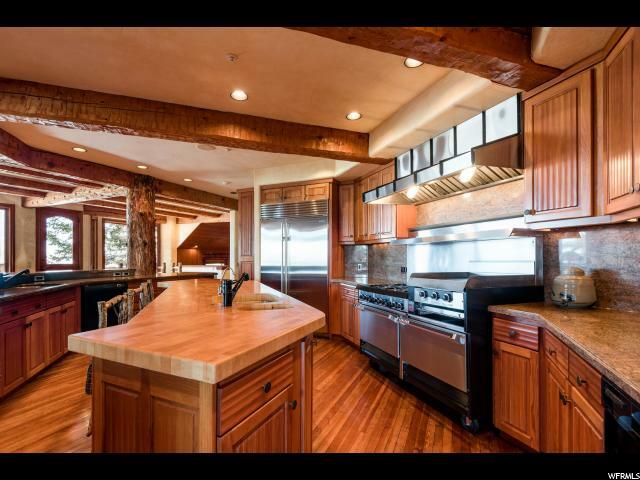 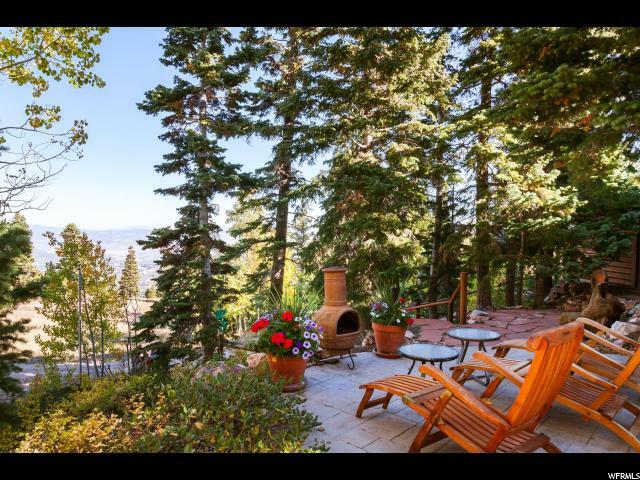 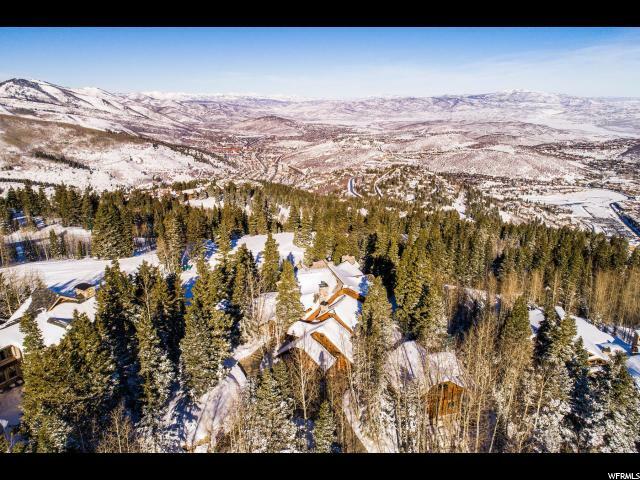 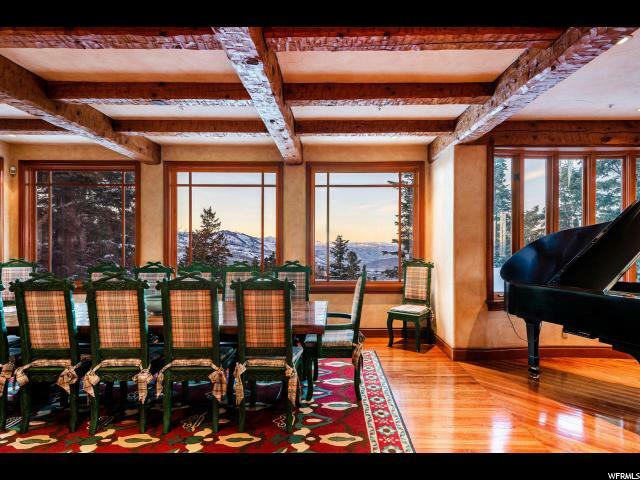 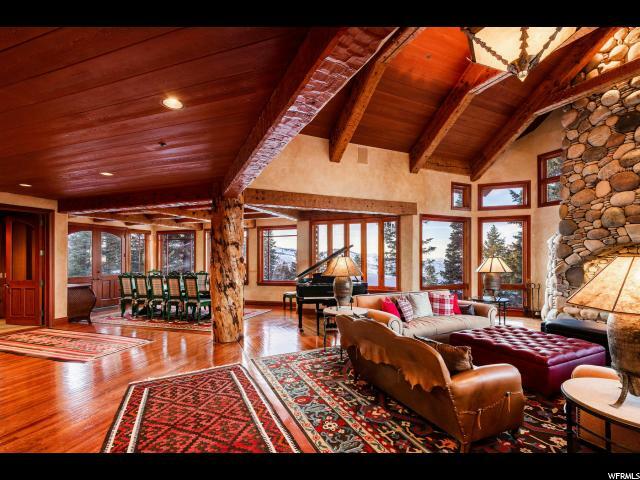 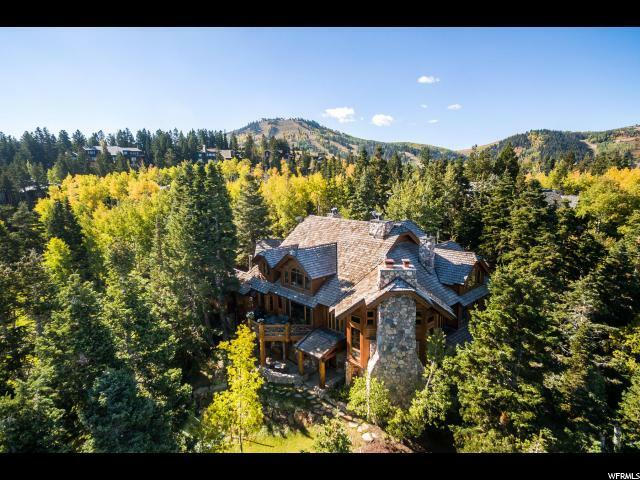 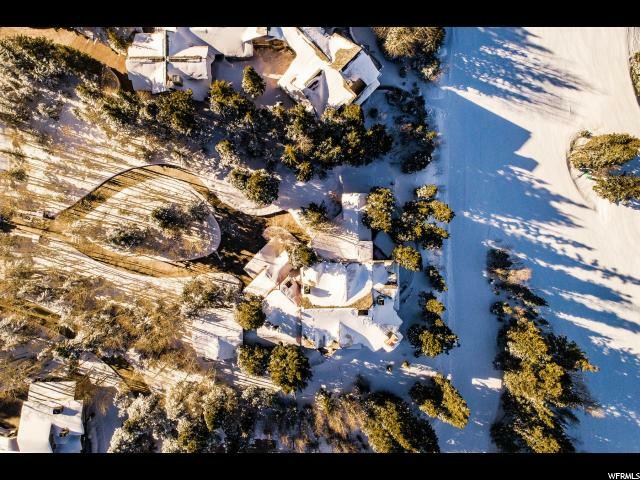 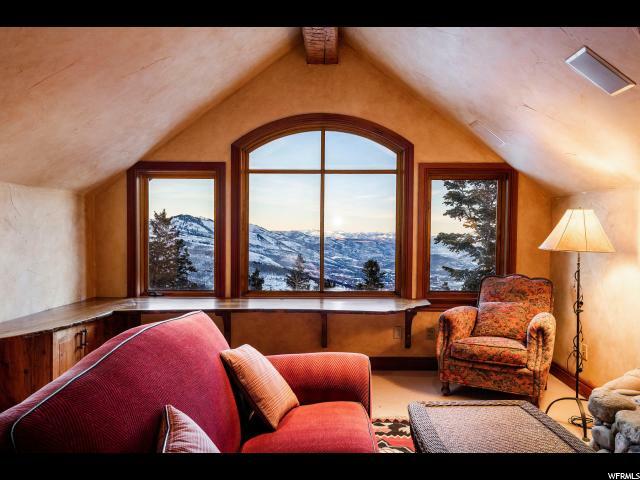 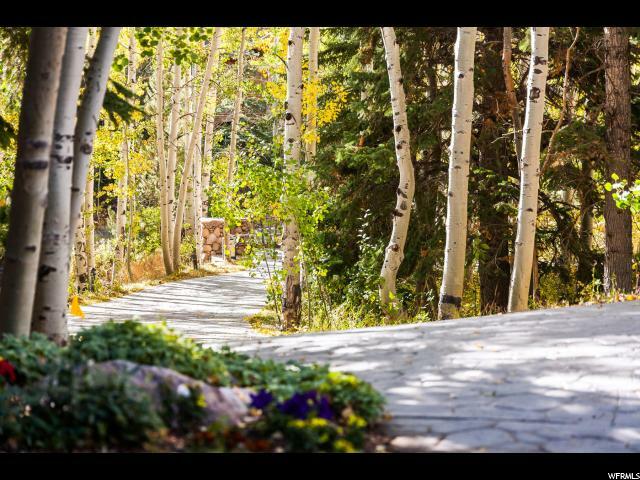 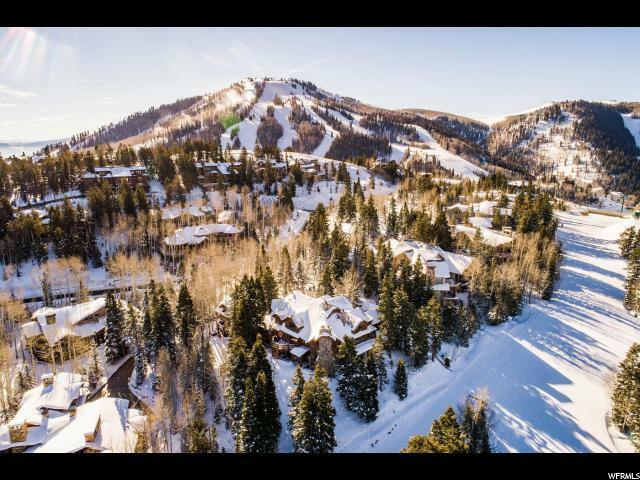 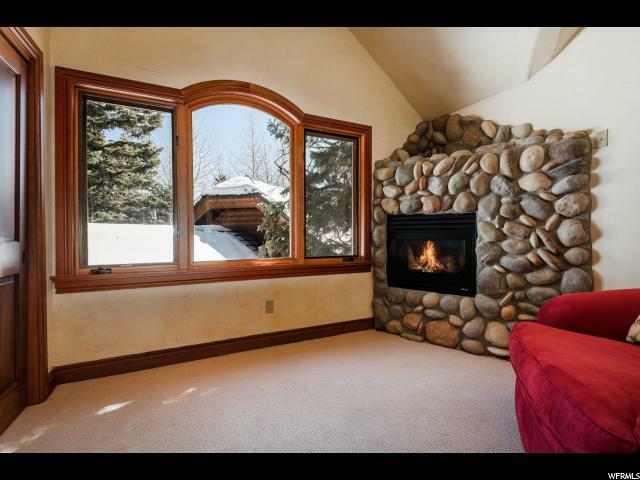 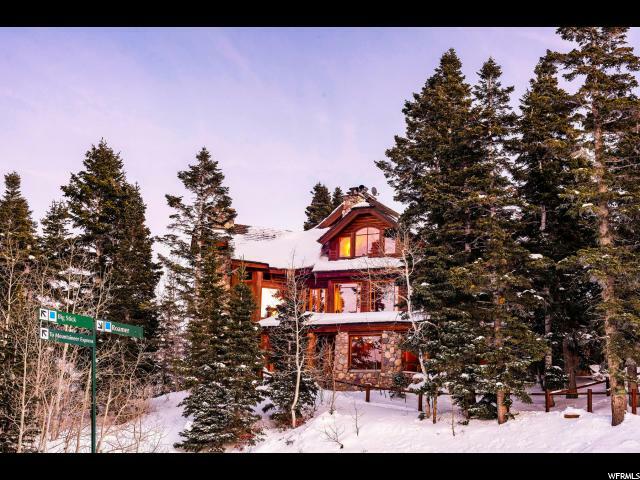 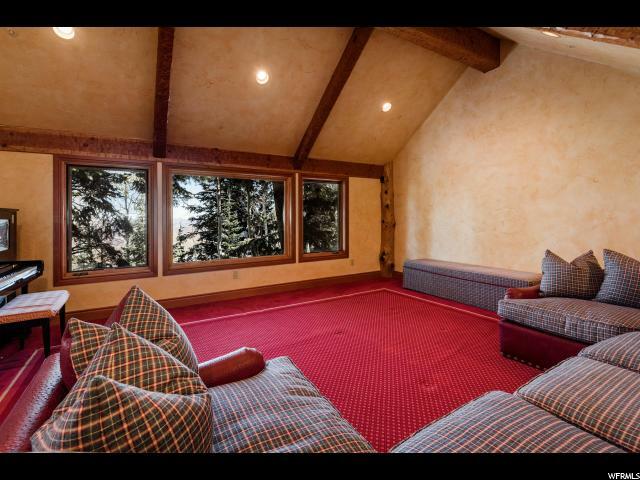 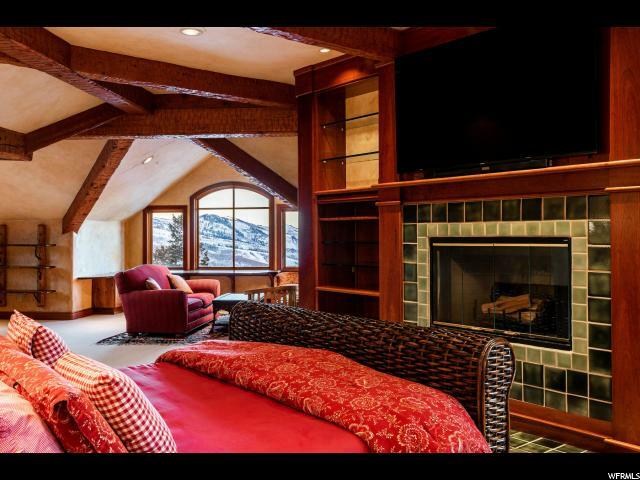 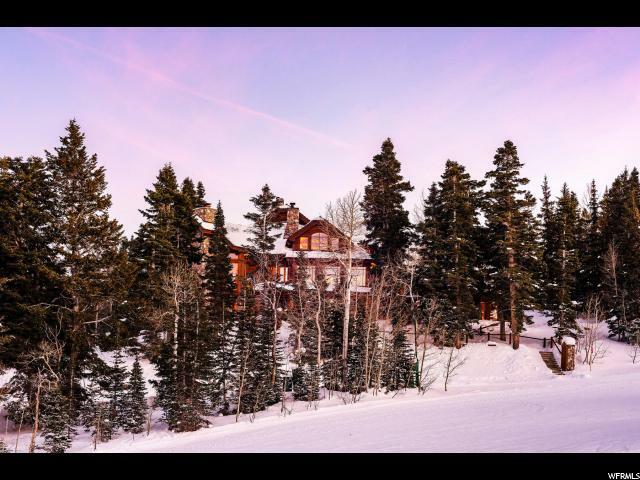 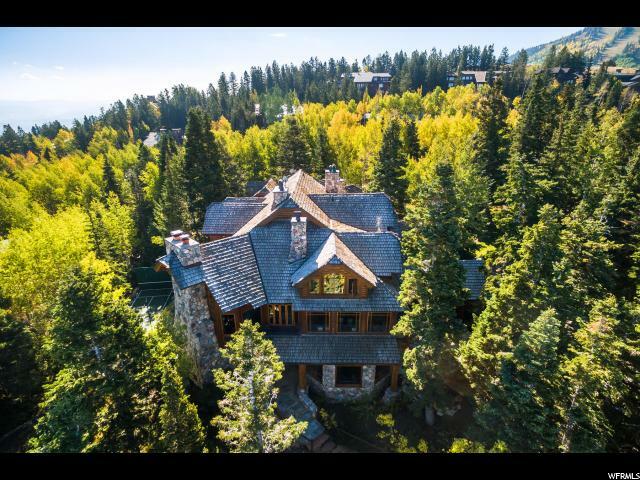 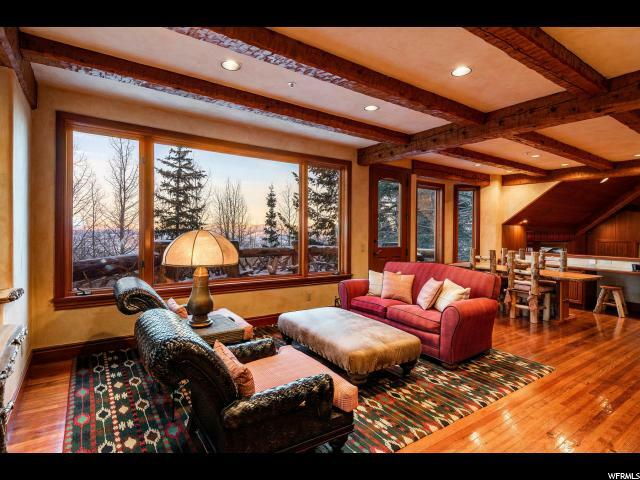 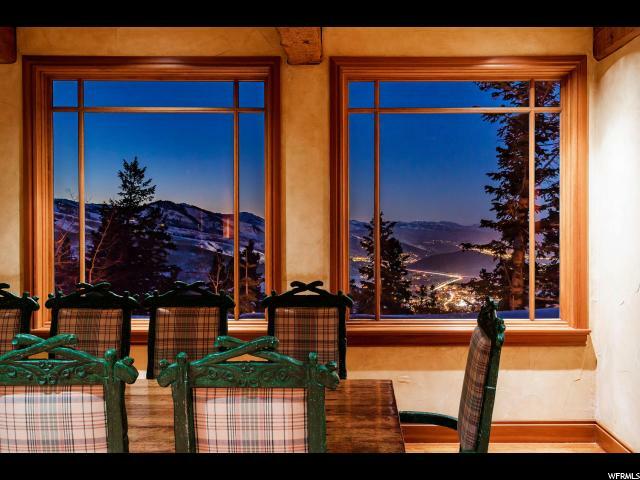 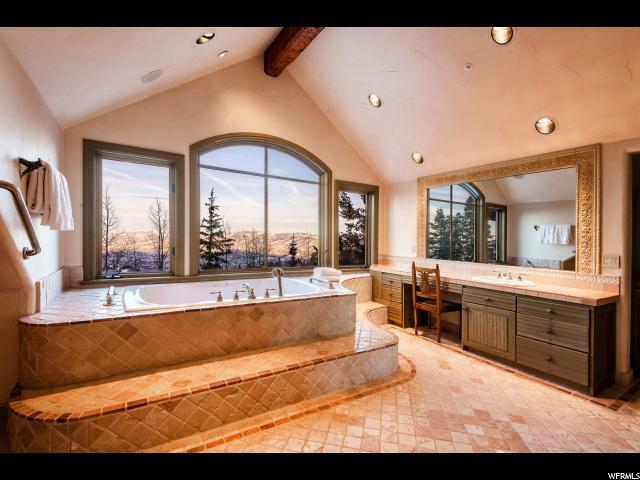 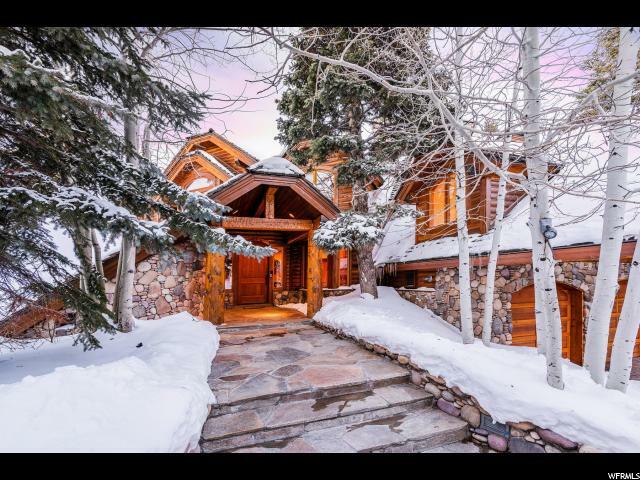 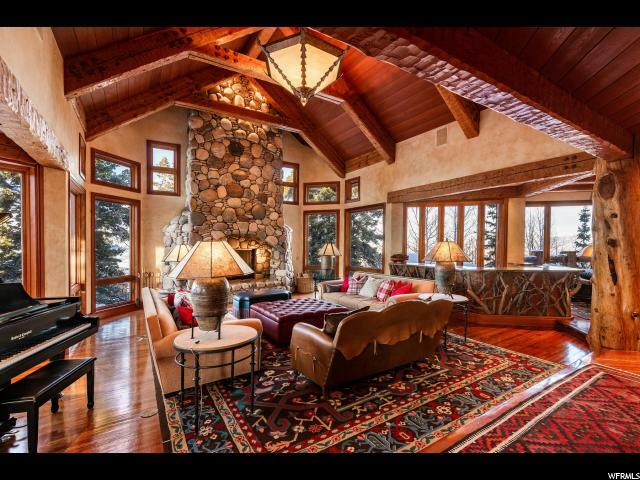 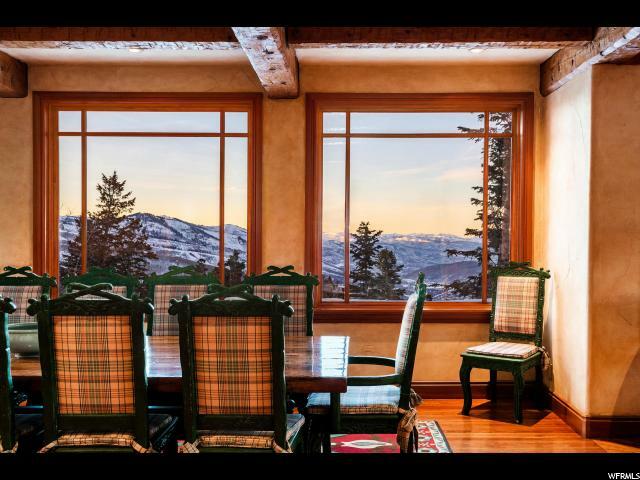 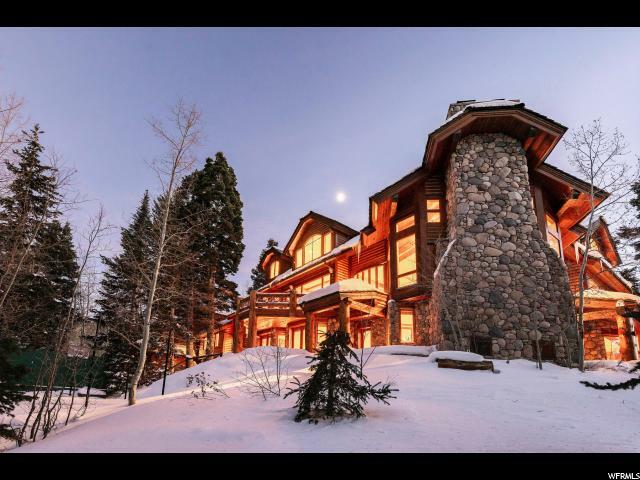 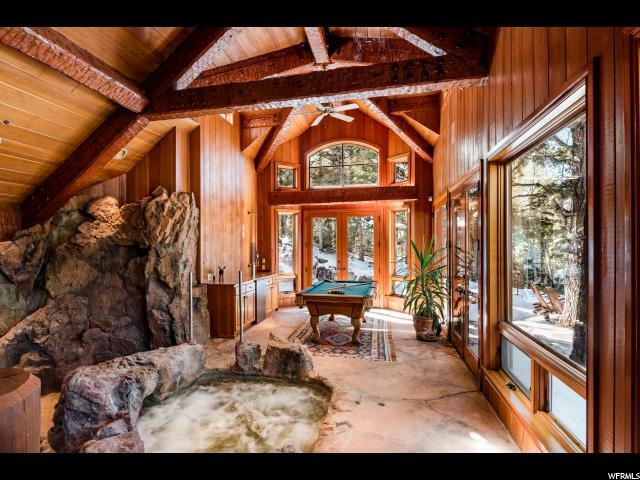 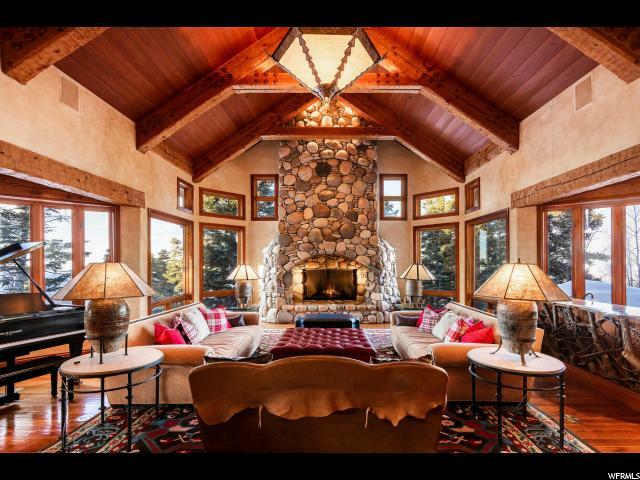 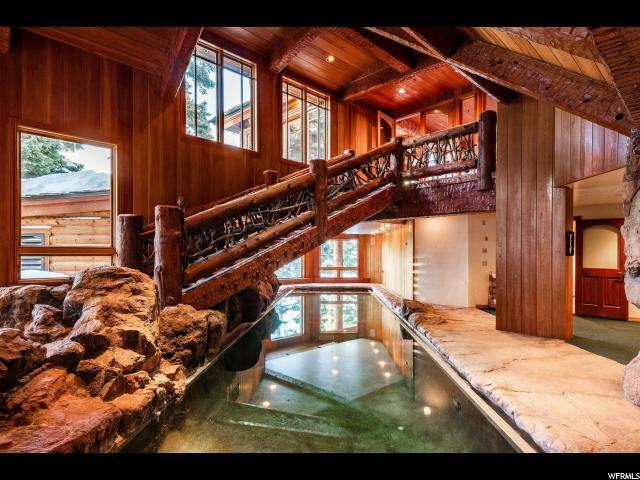 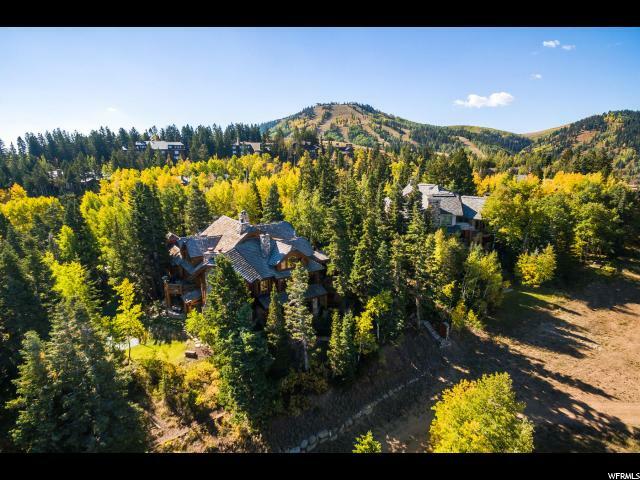 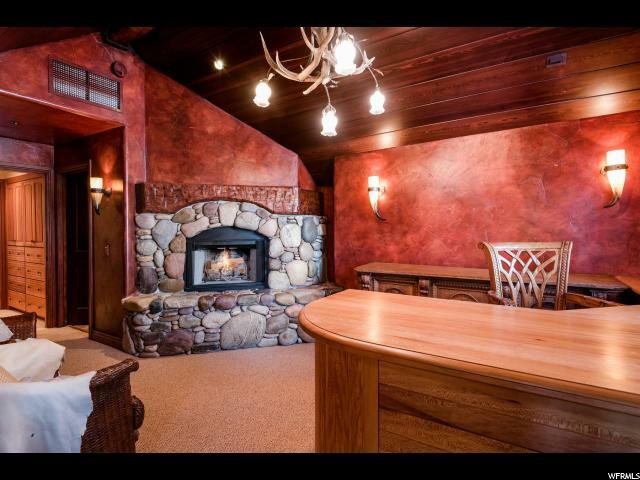 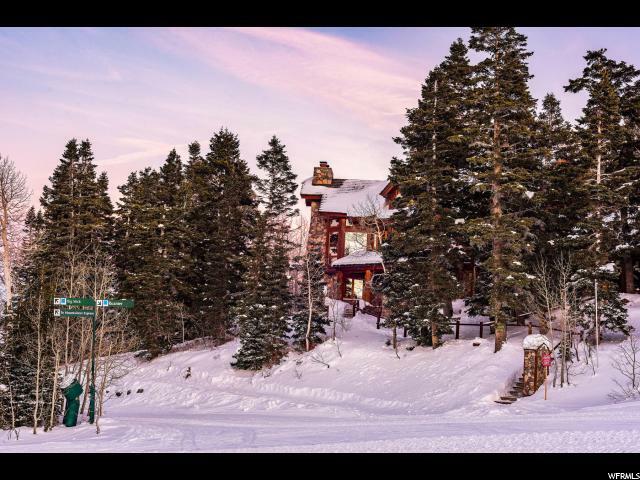 I would like more information regarding the property at 7885 BALD EAGLE DR, Park City UT 84060 - (MLS #1562377).